In past decades, I strove to express the power contained within a landscape or figure. Over time I felt the need to get closer to the crux of my painting, closer to the energy that drives my work. I felt that I wanted my painting to be free of the representational. 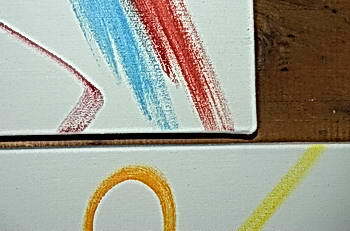 As I discarded canvases in a process of “no, not this”, I started painting spontaneous brushstrokes on a white ground. This seemed more to the point. Immersed in the exploration of the act of painting, I engaged in deconstructing the representational and reconstructing my main painterly elements of colour and expressive brush stroke into a new abstract language. In this work the picture plane drops away and is replaced with a metaphysical canvas space in which the brush work is completely liberated. This painting can be likened to visual music, dance and scripts from many cultures. These intricate canvases demand serious consideration. They are a product of entering into the joy and challenge of playing with the creative spirit.